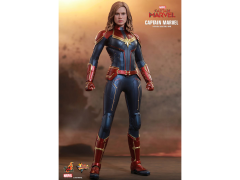 Please Note: We reserve the right to limit quantities on this item. 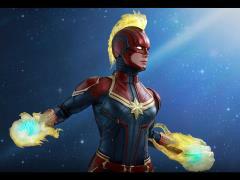 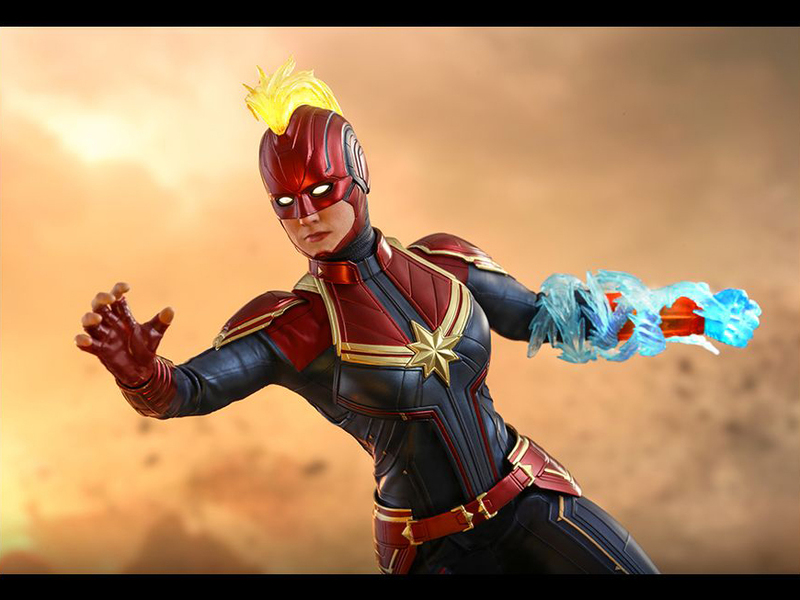 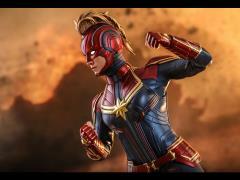 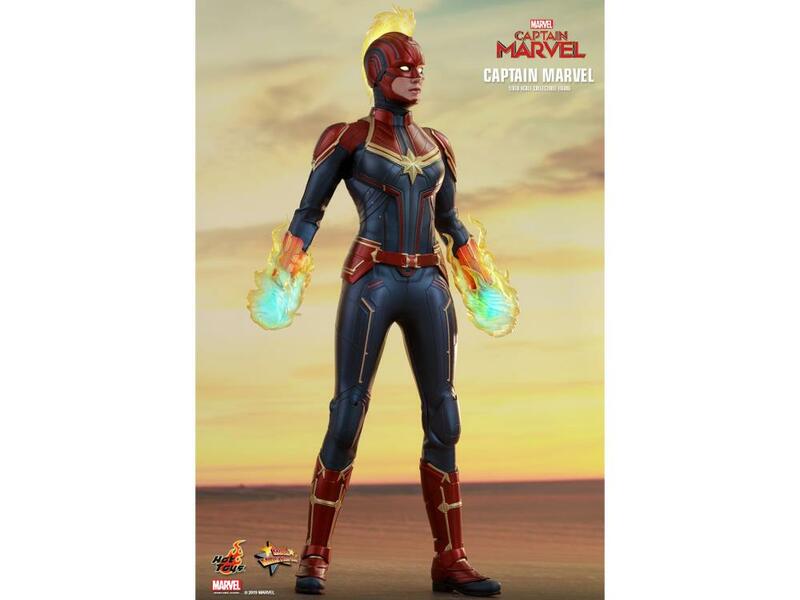 Fans can go on an epic adventure to protect the Earth with Carol Danvers, known as Captain Marvel, a former U.S. Air Force fighter pilot with incredible superpowers. Expanding the Movie Masterpiece Series is the cosmic-powered hero Captain Marvel in 1/6th scale! 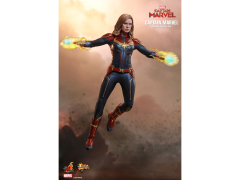 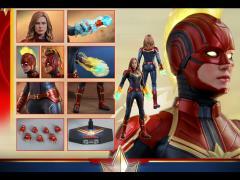 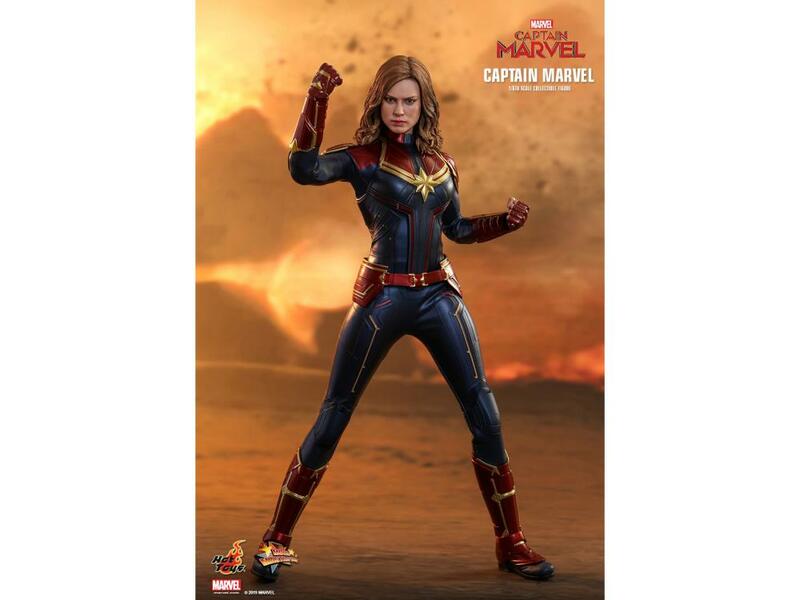 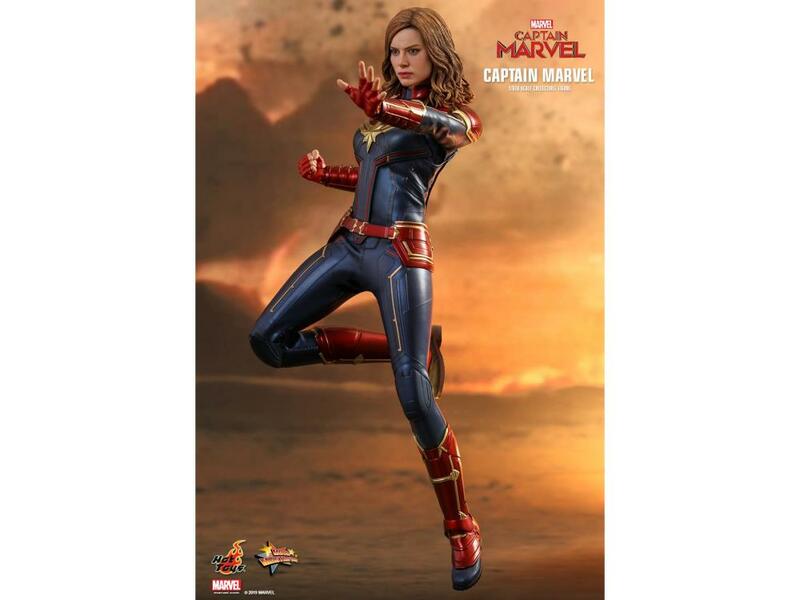 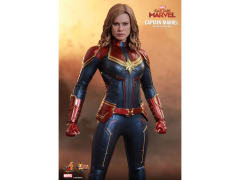 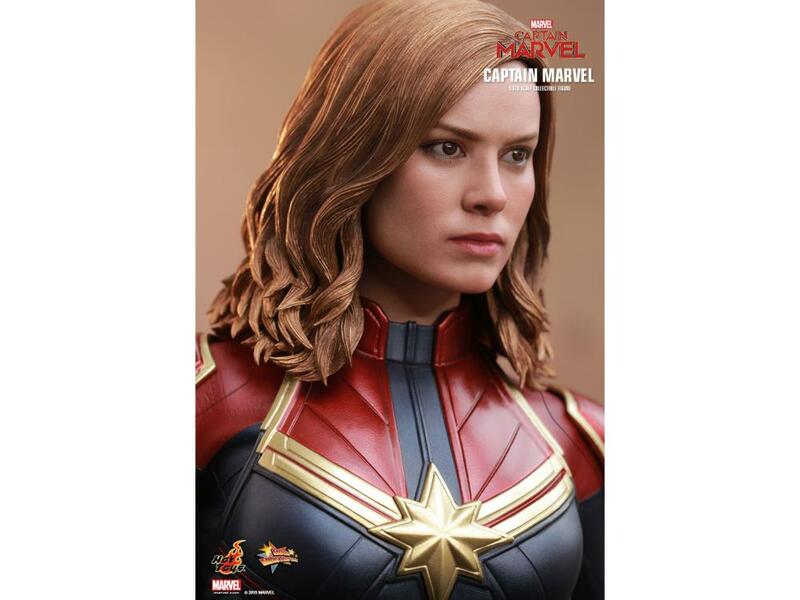 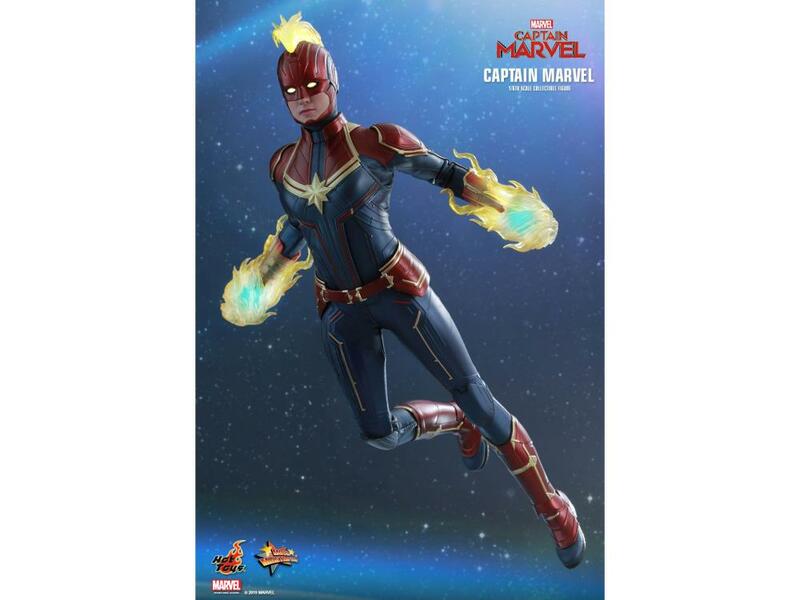 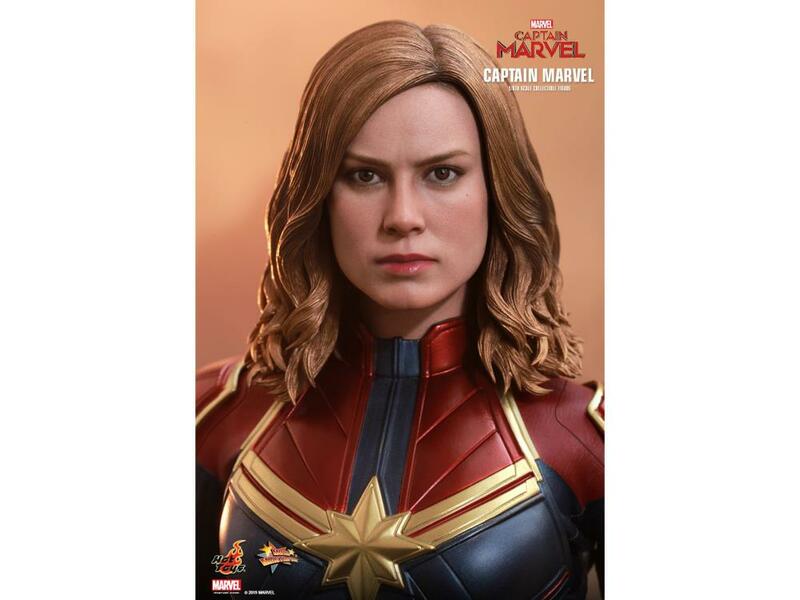 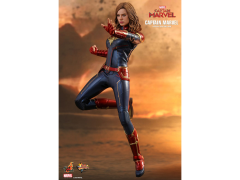 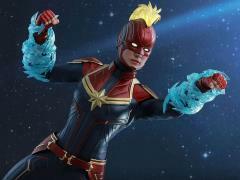 Expertly crafted based on the appearance of Brie Larson as Carol Danvers (Captain Marvel) in the MCU movie, this highly-detailed collectible figure features two interchangeable head sculpts: a newly-developed unmasked and helmeted head with LED light-up functions that accentuates her superpowers. 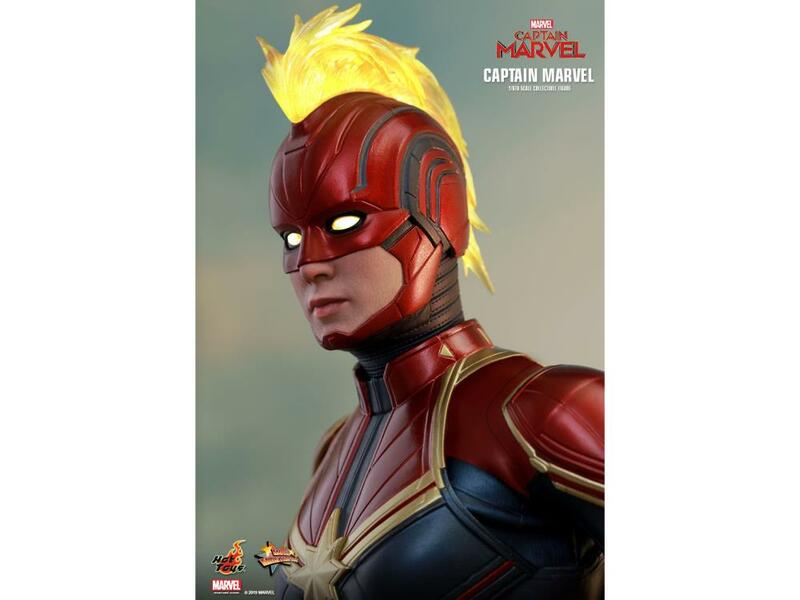 Attach one of two options of her classic mohawk hair to her helmeted head for her signature look! 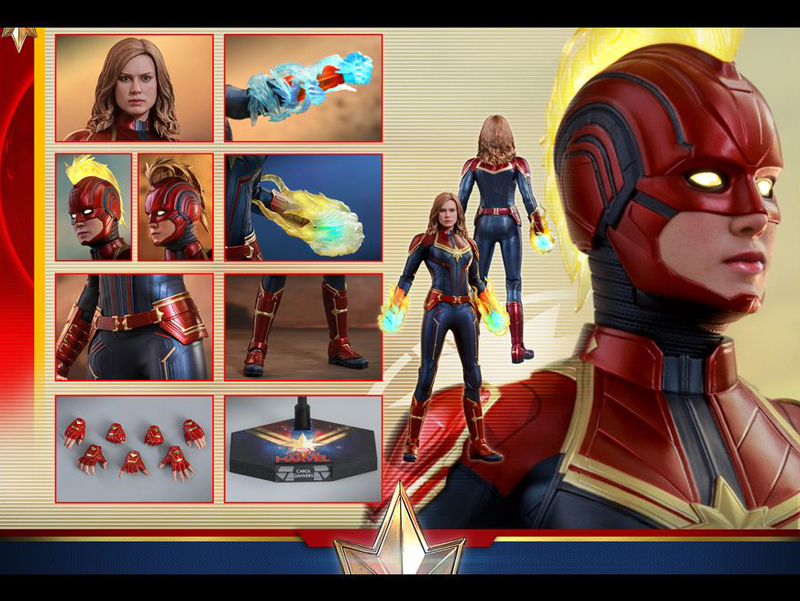 Her body features LED light-up functions on both sides of her forearms, a skillfully tailored costume in metallic red and blue with her gold star emblem on her chest, multiple energy-blasting effects for her arms, and a movie-themed dynamic figure stand for aerial poses.